Sheena kicked up some of our blown out eggs this week with adorable little faces. 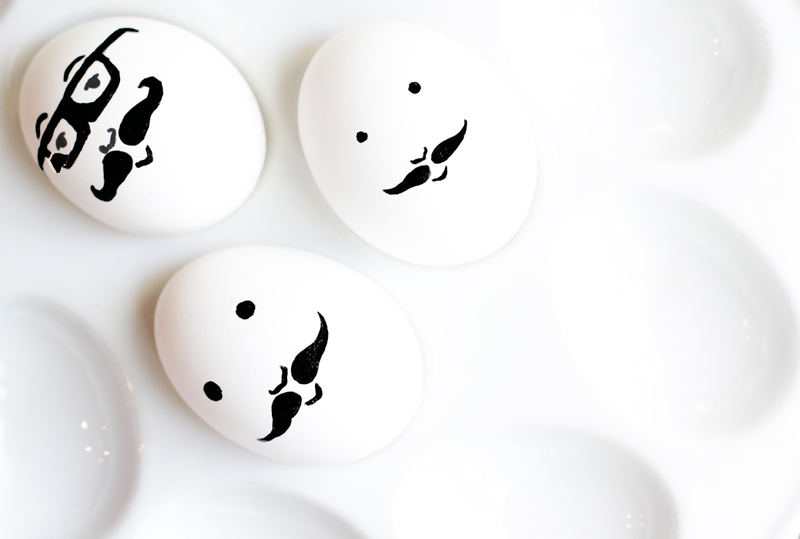 You all should try a little muuuuustachhhe on your eggs this year. 1. Blow out a couple plain white large eggs. Wash and dry. 2. Using a black Sharpie draw different faces on the eggs! Easy peasy!